The Trump administration is ramping up its anti-Iranian policy. This is evidenced by recent statements from President Trump himself, and those from other high-ranking US officials. What are the 'sins' Washington is accusing Tehran of committing? Just how far will the White House be able to go? How will Tehran react? Sputnik Persian investigates. Last week, US President Donald Trump accused Iran of failing to comply with the 2015 Iran nuclear deal, adding that this would receive a response from the United States. Trump also directed the US National Security Council to conduct a review of whether the Iran nuclear deal is in line with US interests. Trump's comments were part of a series of remarks made by senior US officials. Secretary of State Rex Tillerson accused Iran of sponsoring terrorism, and blamed the Obama administration for having "bought off" Iran's nuclear ambitions temporarily, an argument which Tel Aviv has been making for years. Also last week, in the course of his tour of Saudi Arabia and other countries in the Middle East, Defense Secretary James Mattis accused Tehran of causing "trouble" "everywhere you look" in the region. Speaking to Sputnik Persian about the root of the Trump team's hostility to Iran, political scientist and Middle East expert Vladimir Sazhin explained that a lot of it comes down to Trump's hostility to President Obama. "The main complaint of the new administration is directed not so much at Iran as it is to the Obama administration – and its success with the Iran nuclear deal. President Trump, showing a great deal of hostility toward Obama, has been unable to recognize the merits of his predecessor, including the achievement of the historical agreement on the Iranian nuclear, which was reached by the five permanent members of the UN Security, Germany and Iran." 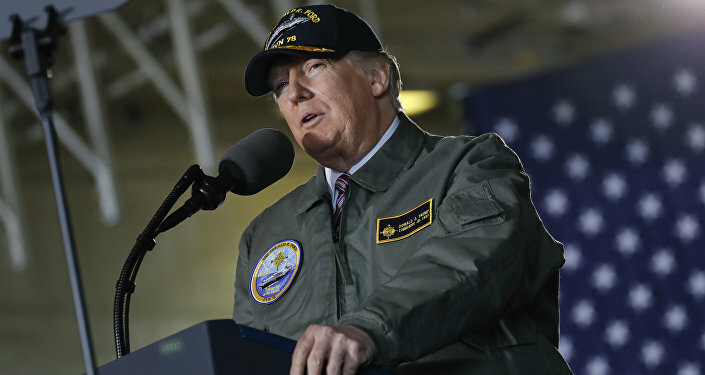 With this in mind, the question that naturally arises is – will the US be able to abandon the 2015 nuclear agreement, as Trump has promised to consider doing? According to Iranian observers, the answer is: 'it's doubtful'. A Joint Comprehensive Plan of Action (JCPOA) was reached concerning Iran's nuclear program in Lausanne, Switzerland, June 2015. Speaking to Sputnik Persian, Kazem Sajjadpour, president of the Iranian Institute for Political and International Studies, emphasized that the 2015 Joint Comprehensive Plan of Action (JCPOA) was "an international deal, concluded in the framework of international law and with the participation of the UN Security Council. "The multilaterally agreed-upon framework behind this deal is not that easy to revise, and changing the core essence of the agreement is simply impossible," the expert stressed. With this in mind, Sputnik Persian suggested that Trump will be unlikely to break the agreement, since it is an international treaty. "Leaving the agreement in a unilateral manner would be too adventurist, even for Trump, because the credibility and image of the US would plummet throughout the world, including in the eyes of America's European allies." "All those who took part in the negotiations and creation of this nuclear agreement (the United Kingdom, France, Germany) supported and support the JCPOA," Sputnik Persian recalled. "Moreover, nearly the entire European Union is interested in this international deal, and on developing trade and economic relations with Iran." Effectively, Iranian observers say that all that is left for Trump to do is to slow the process of the deal's implementation, and nothing more. At the same time, Sputnik Persian admitted that Washington's anti-Iranian rhetoric certainly isn't likely to die down under Trump, "especially since Trump has other opportunities to make accusations against Tehran – for example, over the Iranian missile program." Naturally, Washington's claims that the missile program is a violation of the nuclear deal isn't exactly logical, since the JCPOA makes no mention of any ban on missile testing, while UN Security Council Resolution 2231, referring to Iran's nuclear program, does not categorically call on Iran to refrain from the development of its missile program, but merely appeals to Tehran to do so. Sputnik Persian stressed that even if Iran is compelled to wind down its missile development program, this will be possible only via "discussions and settlement only in the format of international negotiations, with the approval of the United Nations, and where Iran, naturally, is a participant." As for Washington's other major claim: that Iran is supports terrorism via its support for Hezbollah and Hamas (which Western countries, but neither Russia nor China, see as terrorist groups), Tehran has made clear its position that it will support those forces which it believes are engaged in a struggle for national liberation. Ultimately, Sputnik Persian suggested that the US has now returned to the pre-Obama status quo of close ties with its traditional allies Israel and Saudi Arabia, and to a certain extent Turkey. "The allied rapprochement between the US and these countries automatically implies a deterioration of relations with Iran, their main enemy." "Despite a noticeable about-face turn away from Tehran, it's likely that the White House has yet to fully and clearly formulate its Iran policy. There is little doubt that this will be a tough anti-Iranian policy which may perhaps include the introduction of new sanctions. At the same time however, it is doubtful that these sanctions will have kind of grave character they did in 2012-2016. And a resolution of the 'Iranian problem' by force is impossible to imagine, even given the sharp aggravation in US-Iranian relations observable today." For now, Sputnik Persian noted, "Tehran remains calm." Foreign Minister Javad Zarif has described the recent statements by US officials as "repetitive and useless rhetoric," and as an elaborate anti-Iranian policy based on Iranophobia and a failure to understand the state of affairs in the region. 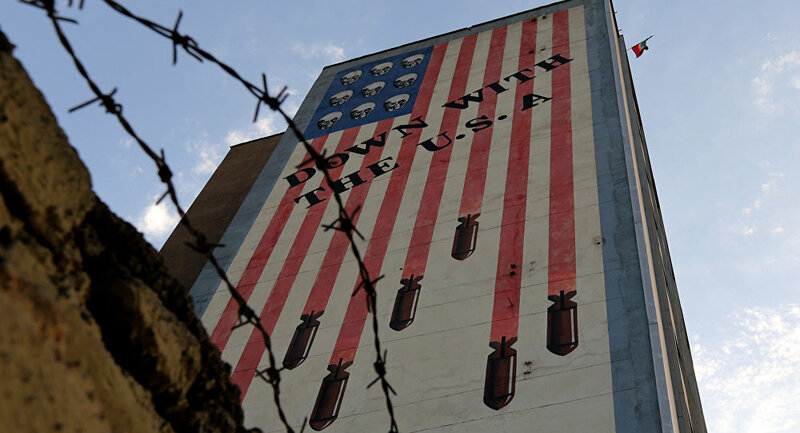 Still, US hostility could lead to a rise in anti-American attitudes in Iran as well, which could be manifested in presidential elections next month, Sputnik Persian stressed. "It's interesting to note that the radically-oriented members of the Trump administration and Iranian conservatives are nearly unanimous in their criticism of the JCPOA. That is, Trump and his team play to the interests of the opponents of liberal Iranian president Hassan Rouhani…Moreover, this anti-Iranian policy, combined with the arrival of a radical conservative to the Iranian presidency could trigger Iran's own withdrawal from the JCPOA, and the simultaneous resumption and intensification of the nuclear program, without IAEA control. All of this is fraught with unpredictable, catastrophic consequences."